This expedition to the United States was a multi-unit project that used adventurous training, ceremonial, and multinational Cadet collaboration to drive social mobility. 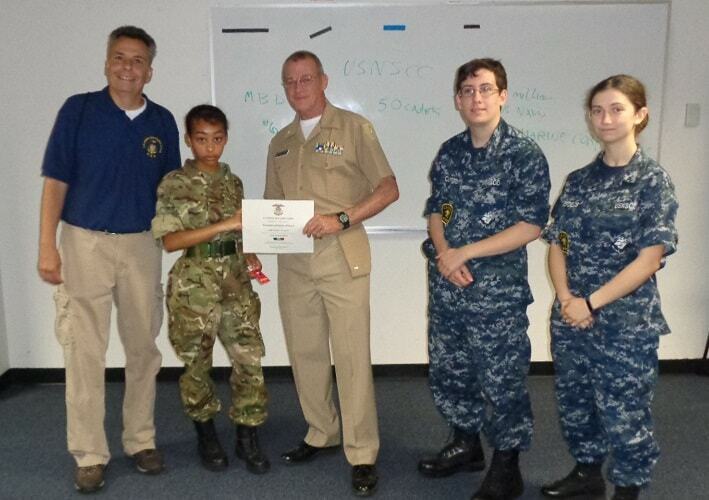 The lead unit was Training Ship Stirling of the Sea Cadet Corps. Based in one of the most deprived neighbourhoods of Birmingham eleven cadets took part. Five from Forward Division which is the component recruited from the local secondary school (Tile Cross Academy) through the Cadet Expansion Programme, and six from the ‘community’ component of the unit. TS Stirling is located in a post code in the top 5% of deprivation according to the 2015 Index of Multiple Deprivation for England whilst Tile Cross Academy is in the top 3%. In addition two RAF Cadets from the Defence Sixth Form College, Welbeck took part and two Army officer Cadets from Taurus Squadron of the Defence Technical Undergraduate Scheme. The rational for inviting these two units was to promote this pathway to employment to the younger Cadets from TS Stirling. The whole group was led by four CFAVs, three from TS Stirling and one from the DSFC. 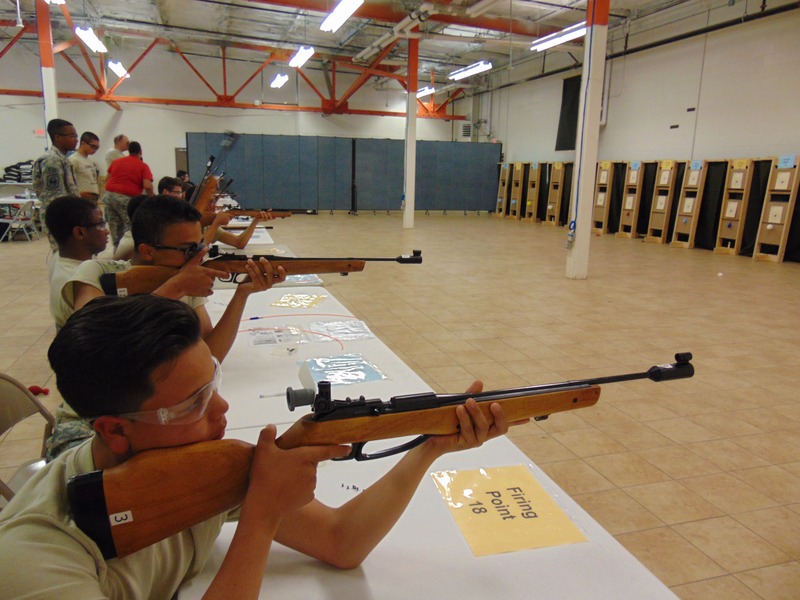 The main focus of the expedition was to attend the Junior Cadet Leadership Challenge (JCLC) run by the Commonwealth of Massachusetts Army League (COMAL) for high school JROTC Cadets from 19 schools across New England. Prior to this, however, the party had a weekend in Boston. 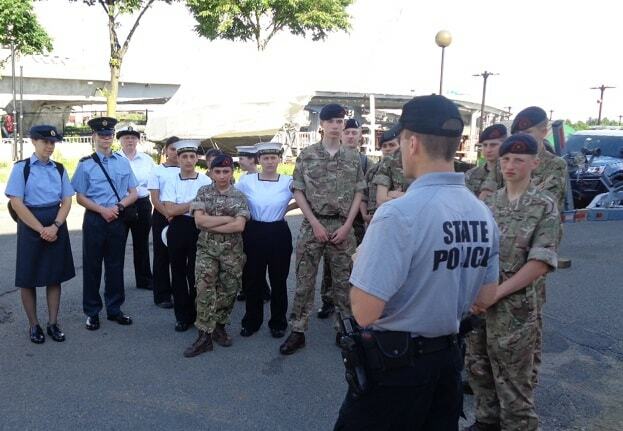 Having arrived late afternoon on Friday 15th the Cadets had to be up and dressed in uniform for 0730 to meet up with Cadets from the Massachusetts Bay Division of the US Navy Sea Cadet Corps. Despite the early hour and having to navigate the strange breakfast menu at Dunkin Dognuts all Cadets were ready on time for the short walk from Charlestown to the Boston State Police Maritime Unit. Here we were given a guided tour of the station and its wide variety of high performance patrol craft. Following this we followed the coast around to the Coast Guard Station where the USN Sea Cadets are based and shown their facilities and the three cutters that were alongside that day. The UK style of drill drew curious onlookers as we marched around the base! We then retraced our steps to Charlestown Navy Yard where we toured the USS Constitution, the oldest commissioned warship still afloat. In the afternoon the group took the ferry across the harbour to explore Quincey Market. Sunday 17th June was the 243rd anniversary of the Battle of Bunker Hill, the first major battle of the Revolutionary War and, although a British victory, it was so hard won that the colonial forces considered it a turning point in the war. We had arranged with the National Parks Service to take part in the commemorations which commenced that morning at St. Francis de Sales Parish Roman Catholic Church on nearby Breeds Hill. The ecumenical service was attended by parties of reenactors dressed in period costume, the Captain and Colour Party from the USS Constitution, the Ancient and Honorable Artillery Company, and the Charlestown American Italian Brass Band. Also present was the British Consul General for New England and the Deputy French Consul General. In the middle of the service an elderly reenactor standing in a side isle in his period woollen uniform and holding a musket collapsed with heat exhaustion. The priest called for medical assistance from the altar and the only volunteer was Sgt Peter Jones RMR (SCC). Pete is a former JNCO in the RAF Regiment. A combat medic and veteran of two tours of Iraq and two of Afghanistan he quickly took control until the paramedics arrived 20 minutes later. Following the service the congregation marched behind the band and colours to the Bunker Hill Monument for speeches and wreath laying. Cadets representing the Royal Navy, Royal Marines, and Army laid wreaths of poppies to remember the British sailors, marines, and soldiers who died that day. The presence of the UK party was extremely popular and many references were made to long standing alliances between the two countries and the shared sacrifices made over many years. The Cadets spent the afternoon spending any remaining pocket money at the Cambridgeside Galleria! Having become very familiar with their new home at the Constitution Inn at Charlestown the Cadets were apprehensive about their move, early on Monday morning, to Fort Devens US Army Reserve Training Centre. These nerves were matched by the anticipation of travelling there on a yellow American school bus provided by East Boston High School! The school parties from across New England were all arriving at the same time and Cadets began to draw their bedding and find out who they were sharing rooms with and which company and platoon they were being assigned to. For all Cadets it was a disorientating experience because all 300 Cadets are split up and mixed with young people from different schools, states and countries! To add to the mix the high, humid, temperatures had resulted in an extreme weather warning that included tornados forecast in nearby towns. In the event there were violent thunder storms with sheet lightening and torrential rain. 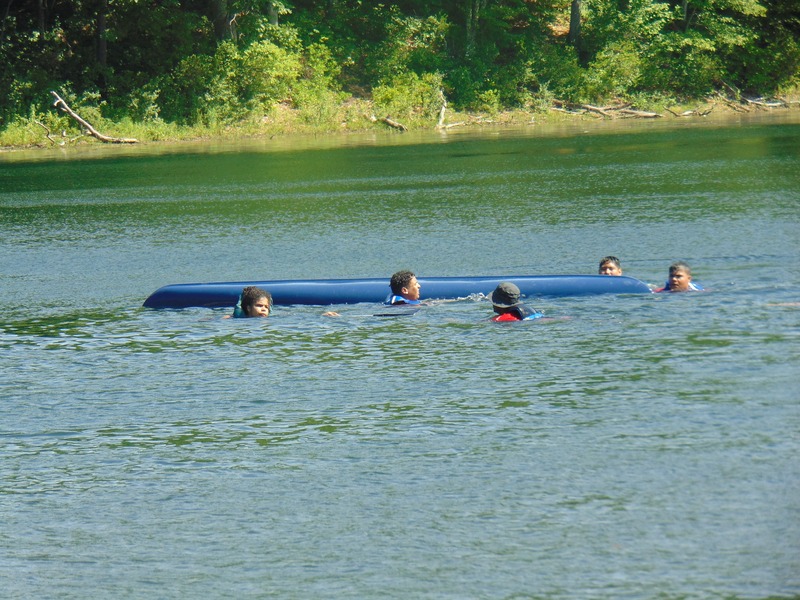 Aquatics (kayaking, canoeing, floatation packs) and leadership at the nearby Mirror Lake. 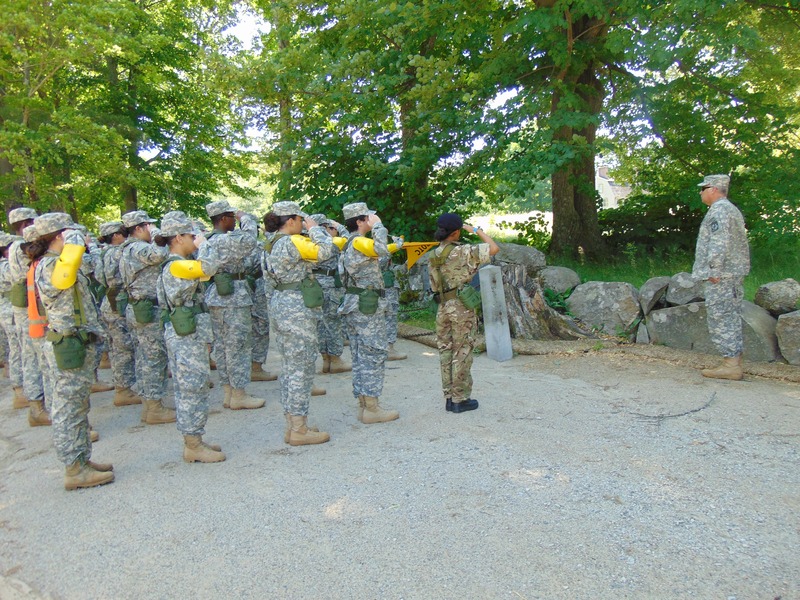 Orienteering, one rope bridge, and Leadership Reaction Course (PLTs/Command Tasks) on the range complex. 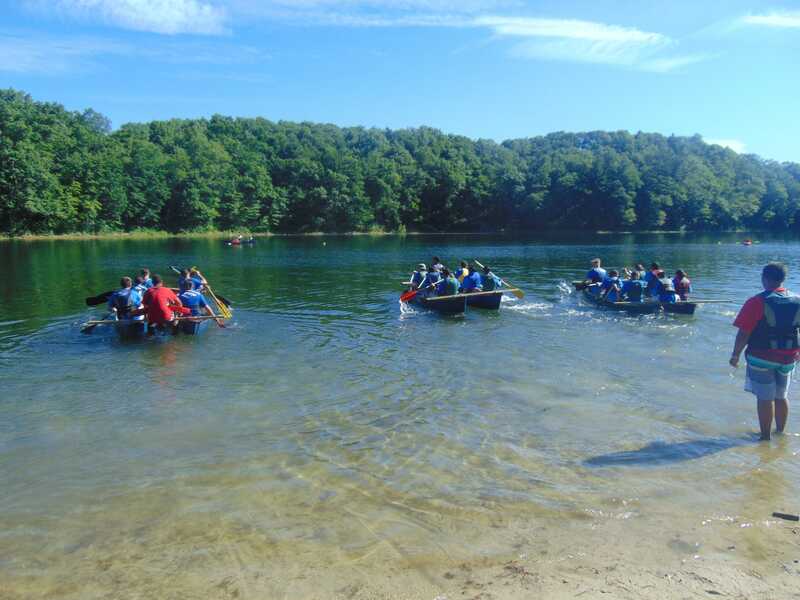 The staff ride took place in the Minute Man National Park and focused on the events that occurred in the first confrontation in the revolutionary war, including the Battle Road. Starting with a ceremonial flag raising of the Stars and Stripes the Cadets then watch the excellent audio visual presentation at the visitors centre before visiting some of the sites along the Battle Road where British soldiers died and are buried. Our hosts had provided wreaths and the correct Union flags of the period. A bugle with a sound cartridge was provided to play the Last Posts. British Cadets had the honour of laying the wreaths at each grave we visited. Each company also heard from reenactors dressed as a Minute Man and an officer of the 10th Regiment of Foot. 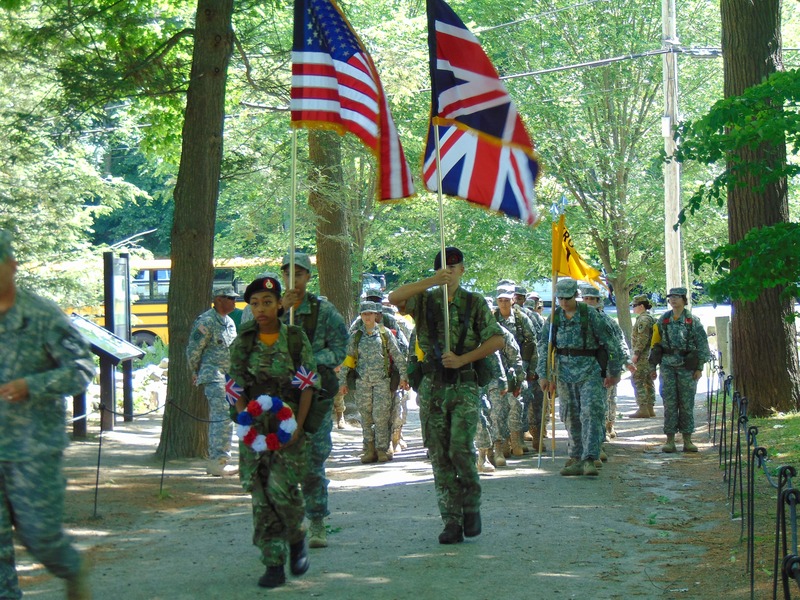 The staff ride finished at the Old North Bridge in Concord where the Cadets marched to the bridge behind a colour party carrying the Stars and Stripes and the Union flag. 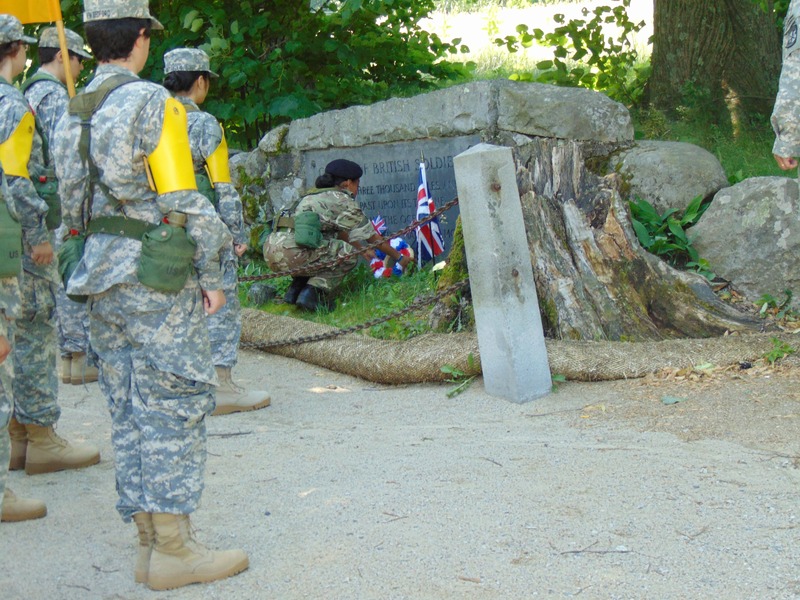 Three British Soldiers are buried at the bridge and a final wreath laying ceremony took place, in front of numerous tourists. Over the course of the three days that the companies rotate through this package they built up their company identities and esprit du corps through various chants and ‘cadences’ that are sung on the march, on parade, and in competition against the other companies. Each company also has its own coloured guidons that match the company T shirts issued to each Cadet. 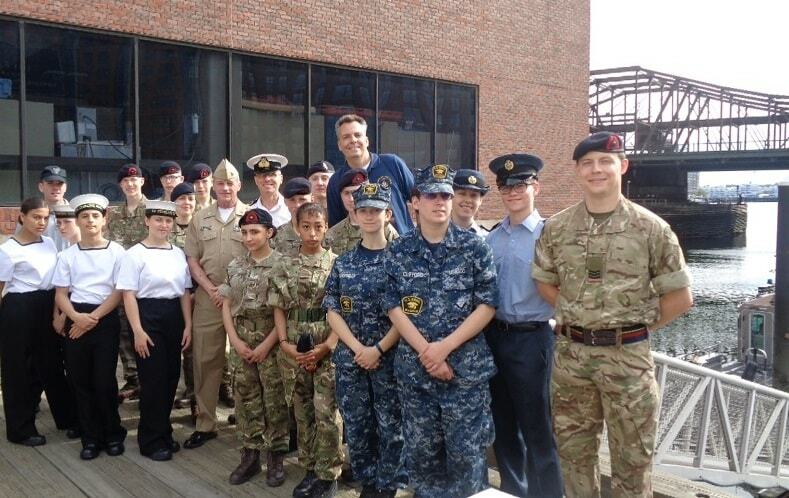 It is an extremely effective way of bringing the disparate Cadets together and building friendships. A final ‘formation’ was held on the Thursday night during which the UK contingent marched on the Union Flag with a representative group of Cadets who made presentations of plaques to the camp commander. The rest of the evening was spent on signing shirts and tearful farewells. For all Cadets of whatever nationality the camp is a challenge. All the Cadets are from areas of deprivation and are well outside their comfort zone on the activities and the camp environment. The heat, long days, and strange food meant that the camp medics were kept busy both with genuine injuries but also a significant number of attention seekers! 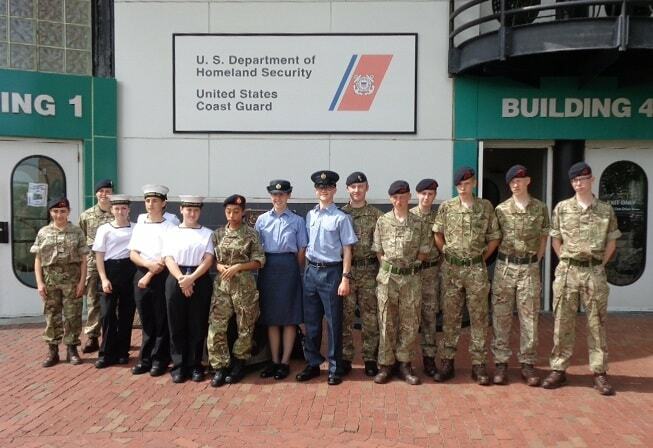 This exercise was a life changing opportunity for all the UK Cadets. Some had never flown before and the personal development journey that they went on will help them to have more successful lives as adults. The Cadets from TS Stirling have also been exposed to Welbeck Cadets and now know the pathway that is on offer for them there. 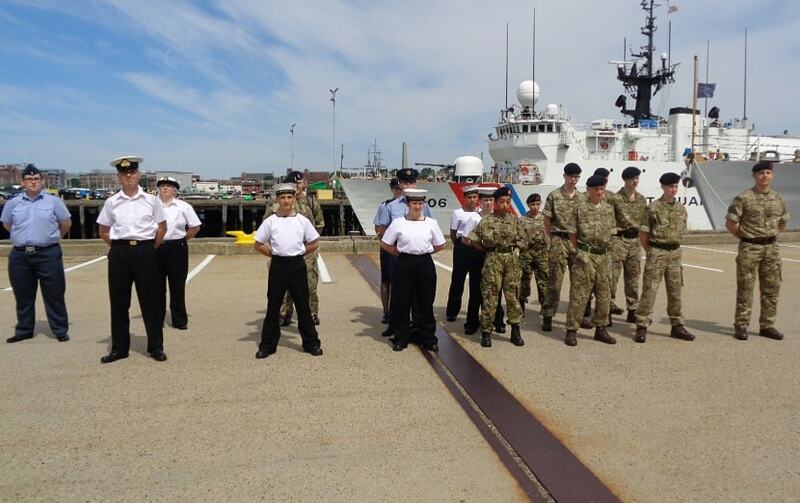 The Welbeck Cadets have had a chance to work with officer Cadets from Taurus Squadron who were in their shoes only three years ago and have learnt more about the next stage in their service careers. 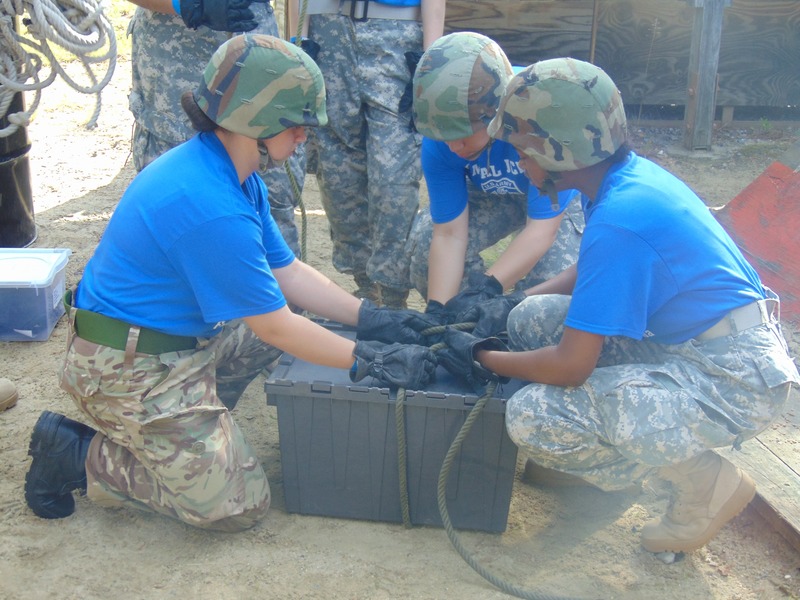 The Taurus Cadets got to work alongside officer Cadets from American universities assisting in the leadership of each company, including assessing Cadets in leadership appointments against the criteria used in the US OTC system. Throughout the whole trip the two officer Cadets were also expected to take a leadership role within the UK party, providing a valuable leadership development opportunity. It was extremely encouraging that both of them completely understood the concept of Serve to Lead and were excellent ambassadors for the UK and Taurus Squadron. For our American hosts the UK contingent is an extremely welcome addition to their camp and adds greatly to the experience of their Cadets. They could not be more welcoming and we are extremely grateful for the assistance provided by East Boston High School in arranging our local transport in Boston and to and from Fort Devens. TS Stirling, Welbeck DSFC, and Taurus Squadron are also extremely grateful for the financial support offered by the Ulysses Trust, WM RFCA, and the Yardley Education Foundation in making this experience possible.